There is the saying that goes: laugher is the best medicine. 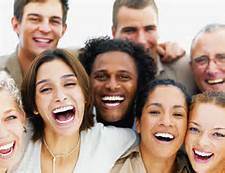 While most people think a good laugh can put you in a good mood for a few hours or so, there are now studies that show that laughter has many benefits for your body too – a good laugh is a first class diet according to Medical News Today. This is especially good news for workplaces where stagnant bodies, long work hours and stress cause people to adopt poor eating habits. Research on 45 adults presented during 14th European Congress on Obesity in 2005 suggests that you can actually fight your way against obesity with simple laughter therapy. Researchers found that people laughing heartily for 10-15 minutes every day burn more calories. That is, approximately around 10 to 40 calories daily. The same amount as a small chocolate bar. People can lose up to 2kg annually by just laughing. While it may not seem a lot of weight – it’s free and as some of my friends pointed out – you can’t eat while your laughing! laughter therapy can also bring a number of health benefits for your body. For instance, laughter strengthens the immune system and increases production of good cholesterol. People also feel more energetic and productive – and they are more likely to do exercise, than when they’re laughing. Organizations are now investing on laughter workshops and laughter seminars to encourage better well-being and performance among their employees. Where did Laughter Yoga begin? Dr Madan Kataria started laughter yoga in Mumbai, India after researching the benefits of laughter for an article he was writing. A fully qualified medical doctor, Madan held the word’s first laughter yoga session in a local park (there is actually a much funnier story about how it all began but we’ll keep that for when we meet you in person). The movement has since spread to more than 6,000 locations around the world and was included in the 2004 Melbourne International Festival. At Laughter Works we’ve combined our work with Madan with our experience in leadership and professional development (including our work with Melbourne Business School) to develop laughter yoga specifically for workplace settings. Recent research has shown laughter yoga to be highly effective at raising the performance of staff. The health benefits of laughter yoga are undisputed and universal. A customised laughter session is the best way to enjoy “the medicine of laughter”. Book a laughter yoga session with us! Contact us: info@laughterworks.com.au, or + (61) 438 545 607. Numerous factors have been identified as major causes of stress such as job pressure, poor nutrition, relationships, media overload the list is endless. According to the American Psychological Association around 48% of people lie awake at night as a result of some sort of stress with an unbelievable 77% experiencing physical discomfort on a regular basis for the same reason. Many of the people who cite stress related problems are quick to say how they’re not able to juggle other aspects of their social lives in tandem with their work related responsibilities. Research conducted in August 2014 by the American Psychological Association, American Institute of Stress, NY has revealed that annual costs incurred by employers due to employees stress related issues such as absconding duty or healthcare problems run into hundreds of billions of dollars. $300 Billion to be exact! A laughable if not ridiculous amount. Someone once said that laughter is the best medicine and it really is! 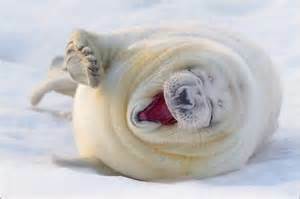 Scientific research has shown that a good laugh has both short and long-term effects on your health. One such positive impact is that laughing will soothe your body muscles simultaneously stimulating your heart and lungs as well as increasing your blood pressure and heart rate resulting in a relaxed feeling. Stanford University’s Dr. William Fry also proved that 10 minutes of enthusiastic laughter equals half an hour on the rowing machine and offers the same aerobic value. 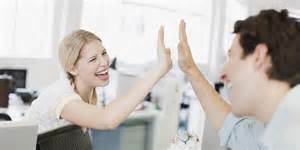 A happy employee is a productive employee and laughter activities in the workplace have been proven to exponentially increase productivity. This is easily achieved through increased efficiency, enhanced communication and better teamwork all of which are combined to create a happier workplace. John Cleese, an English comedian and actor once said “people who laugh together, work together”. Laughter therapy offered at laughter workshops is one of the ways team cohesion is enhanced. Other than being an important tool for team building, laughter also enhances our focus. Our minds’ attention span is greatly reduced after the first 90 minutes of a meeting or conference event. A laughter session goes a long way in helping revitalize our energy and increases our focus on the task at hand be it a convoluted HR training session or a protracted conference meeting. Here at Laughterworks we specialize in laughter to create an environment that is great fun for all. Kris Popp is a renowned laughter leader who has perfected his art over many years of experience. For more on how you can make your next conference fun and interactive please get in touch with us: info@laughterworks.com.au or (+ 61) 438 545 607. Conferences provide a great way to broaden your network of like-minded people, share your ideas and ease up tension at the workplace through effective team-building. Well organized events will normally leave you bursting with fresh ideas and wondering why the aha! moment hadn’t come any sooner. 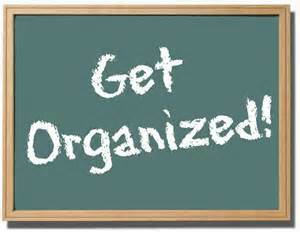 To set up a successful event however requires a lot of skill not to mention tireless effort. You should be prepared for late nights, a roller coaster of emotions and your social life will be interrupted in no small measure. A lot of people fail at event organizing as they mostly try to retrofit ideas from previous conferences which mostly results in a mediocre conference or an outright disaster. It may sound pretty obvious but torturing yourself with thoughts of everything that could go wrong may easily make you forget why the conference is held in the first place! A principle unifying idea not only sets the tone for the entire event but also offers guidance on what items should be the main focus; it makes creating an invitation list for the attendees much easier and makes choosing guest speakers a breeze! Conventional conferences are not virtual and so determining a venue that is comfortable for all the attendees is critical. Attendees are more likely to be excited about an event held in a conference hall with an airy feel to it featuring large windows with a stunning view as compared to some dingy basement accented with a hint of mustiness. Comfort for the attendees means that they’ll have a better attention span and even want to stay behind and meet new people once the speakers conclude their speeches. Speakers can either make or break an event. Different speakers will have various ways of capturing the attendees attention for the time they’re up on stage. While most people will try to keep their allotted time at a minimum while offering the most value some subjects require an exhaustive explanation and its fairly common for the audience to drift off to what they had for breakfast or a less banal topic. According to the journal of Primary Prevention (2007) laughter influences the amount of effort put toward a goal. This would come in handy especially during conferences that are geared toward workplace team-building. In addition optimism and motivation levels were boosted by laughter among the participants of the study making them more effective at work. Just because a subject is dynamic or the speaker is unable to build rapport with the audience shouldn’t mean that it’s ok to settle for a gloomy conference. Here at Laughterworks we specialize in helping teams create an environment that is great fun for all. We are well spread out across the country and have laughter leaders in each state in Australia. For more on how you can make your next conference a fun and interactive experience please get in touch with us: info@laughterworks.com.au or (+ 61) 438 545 607.